Longtime readers know that I use LEE as my primary filter system and I prefer them even though some others might have slightly more convenient ways to attach and affix filters. 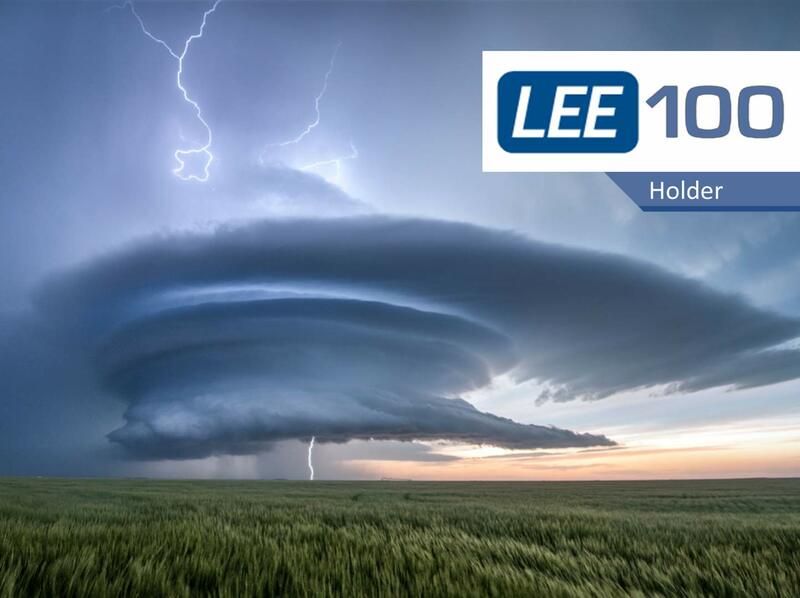 It looks like LEE is finally trying to catch up to them with their LEE100 holder. The filter market isn’t exactly exploding since many like to just fix photos in post, but if you like to get it right in camera the first time a good filter system is a must own. 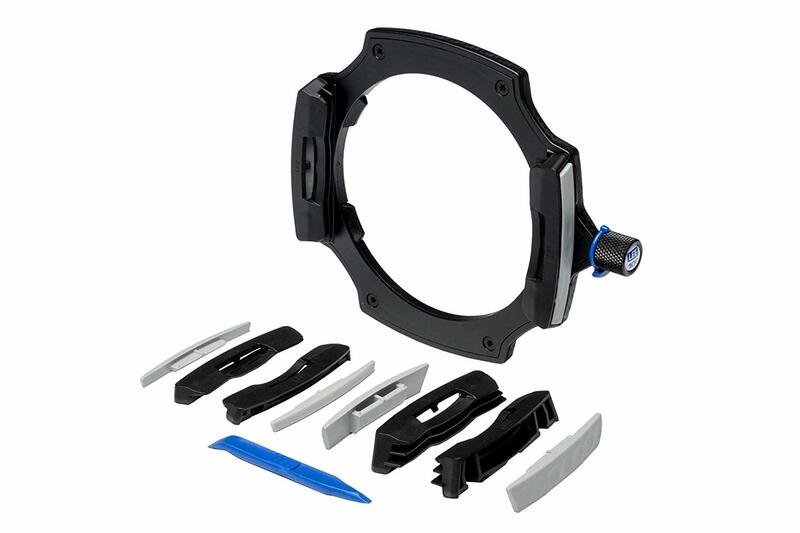 Precision engineered from injection-moulded composite materials, the holder is rigid, strong and lightweight. 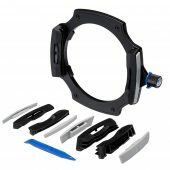 It clips on to the adaptor ring in the same, familiar way, by pulling the spring release and snapping the holder on. 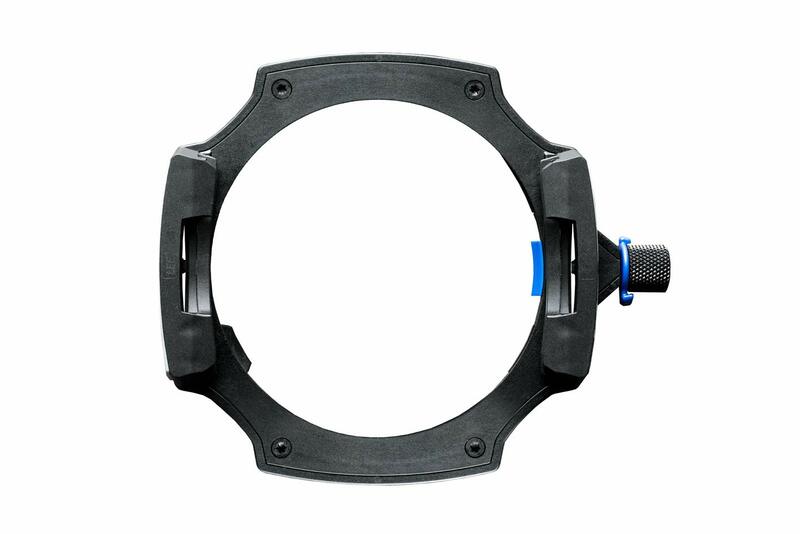 Simple to operate, the holder can be attached and removed from the adaptor ring one-handed, if necessary. After this, the user has a number of options. There is now a blue locking dial around the base of the spring release, and this has three possible positions. 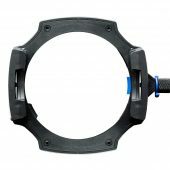 When it is in ‘neutral’, the holder is locked to the adaptor ring in the way it always has, can be rotated freely, and allows the user to quickly remove it. It can also be knocked off, should you catch it accidentally, and so keeping your camera and lens safe. Turn the blue locking dial upwards, and the holder can still be rotated; however, in this setting, the holder cannot be removed – it is locked firmly to the adaptor ring and therefore cannot be knocked off accidentally. Turn the blue locking dial downwards, and once again the holder itself is locked in place and cannot be knocked off. However, in addition to this, when the locking dial is in this position, the holder itself cannot be rotated. While it’s fine for the holder to remain locked on to the adaptor ring if you’re moving around with your camera – for instance, with your tripod over your shoulder – it is not recommended to keep the filters in the holder, as there is a danger of them slipping out and being damaged or broken. slots. These are easily removed and can be interchanged according to the photographer’s needs. To remove a filter-guide block, use the removal tool that is supplied with the holder system. The pointed end of the removal tool is used to take off the guide-block cover. Once this has been removed, turn the tool round and insert the flat end into the gap in the filter-guide block. This releases the block, which then comes away from the holder with ease. To attach a filter-guide block, simply place it over the small turrets on the filter holder, and push until it snaps into place. Once you feel the positive click, you’ll know it’s securely in place. All that’s left to do at this point is to clip the appropriate size of filter-guide block cover over the open side of the block, and you are ready to go. The slots in the filter-guide blocks have been designed with a tapered profile, for secure retention of the filters. Filters can be combined in the same way they always have, and the useful locking system means you can, if necessary, set a neutral-density grad at an angle, lock the holder in place, then push in one of our Stopper filters, without risk of unwittingly moving the system. 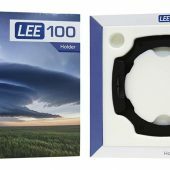 Designed to be used with many of today’s ultra- wideangle lenses, the LEE100 system allows you to work with up to three slot-in filters on the widest lenses without risk of vignetting. This entry was posted in Accessories and tagged Fuji Rumors, Fujifilm, Fujifilm Rumors, FujifilmRumors, Fujirumors, LEE 100, LEE 100 Filter Holder, LEE Filter, LEE Filters, LEE100, LEE100 Filter Holder. Bookmark the permalink. Trackbacks are closed, but you can post a comment.